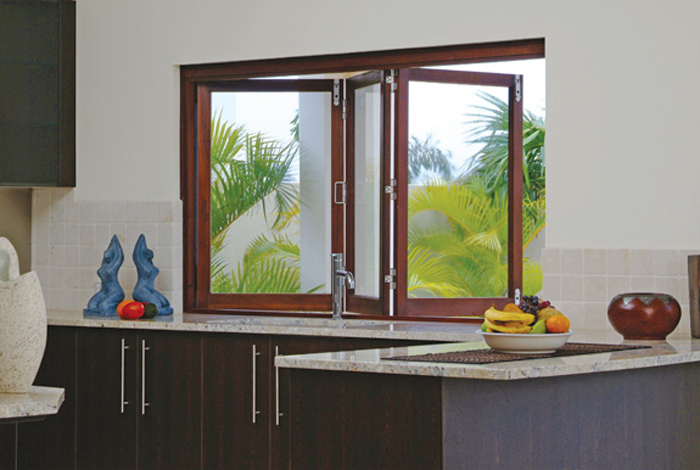 Bi-fold Windows – easy servery access to entertainment areas . opening the entire area and allowing for maximum ventilation. that extend work areas in the kitchen out to entertainment areas.